To keep this site fresh and interesting, I try to create posts for a variety of genres and topics. However, for the last couple of posts, I feel like I've only been writing about video games. Don't get me wrong, I love video games but there are other topics that I should dust-off and write again - one of them being fashion. This latest piece is going to bring back my features entry about showcasing an iconic and interesting fashion designer around the world. 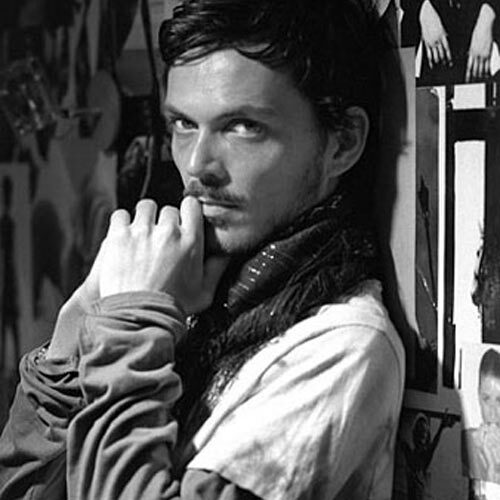 For this week's entry, I'm going to be highlighting the colour-inspiring male fashion designer: Matthew Williamson! To be fair, as Matthew Williamson is a prominent women's fashion designer, I'm not familiar with his body of work. Through some digging and online research, I've come to appreciate his style of taste and the diversity of his collections. Many designers tend to focus on the glitz and the added sparkles to accentuate their pieces but Matthew's prowess is with colour. The fluidity of his pieces offers the perfect balance of colour and individuality. While many outfits embrace the splash of uniqueness to its design, it doesn't verge on the edge of disaster but offers a new take for being trendy. What brought Matthew Williamson to my attention is his stint in Men's fashion. His collection for H&M was a nice change to see if it will be an area that he'd continue to grow in. Since I'm in Canada, there's no way for me to see his collections up-close but hopefully, if I'm ever in London or the U.S., I might check it out to see if it would be something I'd recommend to my friends. If you want to check out his collection and style for yourself, check out his website at: matthewwilliamson.com. Here are a couple of runway images to give you an idea of his collection. The second and third image are my favourites from the line of ensembles below.